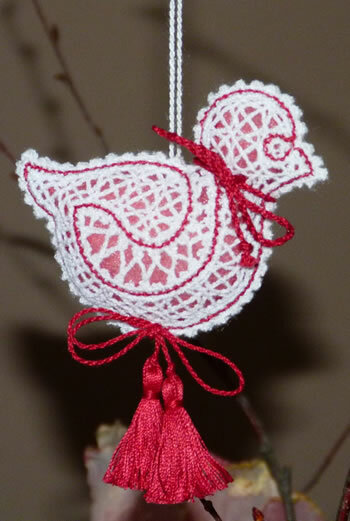 A small Easter chick machine embroidery design in Battenberg free standing lace. The design will fit in 4x4 (100x100) hoops. The size of the chick in the hoop is 2.79 x 2.50 inches (70.9 x 63.4 mm) and the number of stitches is 7,812. The size of the ready 3D chick will be approximately 6 x 5 cm. 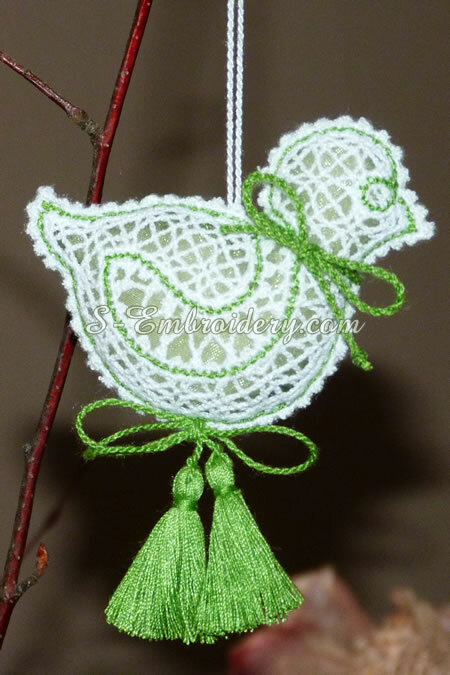 You receive 3 machine embroidery files, which include mirrored versions of the Easter chick and PDFs with design information and step-by-step instructions. 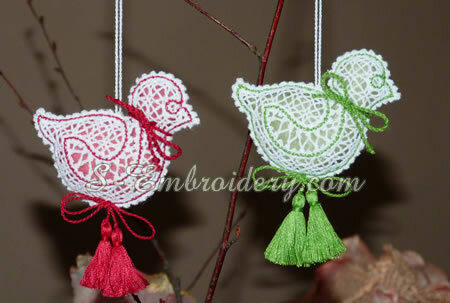 Using them and a small amount of fabric you will create a cute little Easter chick decoration as the ones featured on our web site.